25-years with safe decommissioning of Cold War submarines in the Russian north will come to an end next year. 120 nuclear-powered submarines sailing in-and-out from the Kola Peninsula during the Cold War have been properly decommissioned since the early 1990s. While most of the metal could be recycled, the still-highly radioactive reactor compartments had to be secured for long-term storage. Intermediate, that meant storing the compartments floating at piers until they could be taken onshore at the central storage complex in Saida Bay, north of Murmansk on the coast of the Barents Sea. In 2017, the Barents Observer reported that 15 compartments were still kept afloat on the water. Today, only three reactor compartments remain and they will be taken onshore in 2019, Izvestia reports with reference to the northwestern branch of RosRao, Russia’s state owned company for handling radioactive. 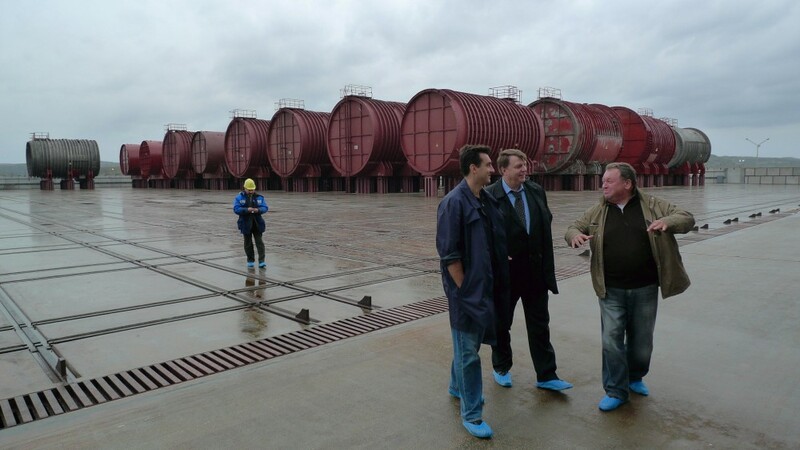 RosRao’s Chief Engineer says the very last reactor compartment t be taken onshore is the one from the “Kursk” submarine that sant in the Barents Sea in August 2000 during a naval exercise. The submarine was lifted from the seabed two years after and the remaining parts of the hull were scrapped. In Saida Bay, the reactor compartments will have to be stored for onshore for many decades before the radioactivity have come down to levels acceptable for cutting the reactors’ metal up and pack it for final geological disposal. Russia, like many other countries, have now final repository for solid radioactive waste.